Welcome to the Military Commission Observation Project (“MCOP”). The Pentagon granted “NGO Observer Status” to Indiana University McKinney School of Law‘s Program in International Human Rights Law (PIHRL). The PIHRL then established the MCOP to implement NGO Observer responsibilities. MCOP representatives are traveling to Guantanamo Bay, Cuba and Ft. Meade, Maryland military base (where the Guantanamo Bay hearings are viewavle via secure video-link) to attend, observe, analyze, critique, and publish materials on the hearings. See our Our “About” page for more information about us. 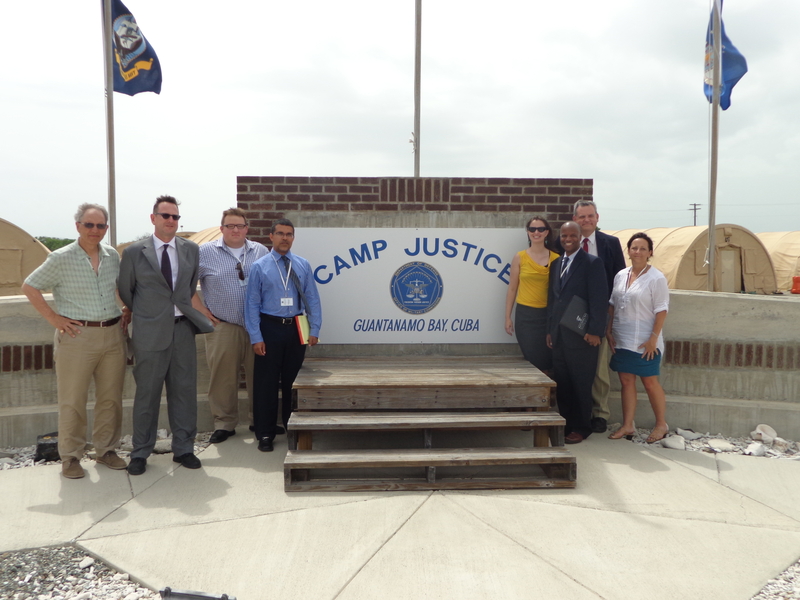 The MCOP representatives are documenting their NGO Observer experiences and findings at Guantanamo Bay, Cuba and Fort Meade, Maryland on the Gitmo Observer blog. The MCOP is developing the Guantanamo Bay Fair Trial Manual to help guide anyone interested in assessing whether fair trials are being afforded at Guantanamo Bay. The Guantanamo Bay Fair Trial Manual is distributed by the NGO Observers and is updated frequently. The MCOP welcomes comments on the current version which is found in full text at: Guantanamo Bay Fair Trial Manual. You may download the full PDF or read it online. This PRB Project focuses on the administrative hearings through which detainees are permitted to plead the case that they are not a threat to U.S. national security, as they hope that the U.S. will release them from Guantanamo Bay and either repatriate them to their home countries or send them for resettlement to a third country. This site is a resource to anyone interested in understanding and following the Guantanamo Bay military commission process. It gathers a wide array of materials, including U.S. and international legal and background materials, videos, media & commentary, and general reading. It also has an extensive photo gallery linked to the Gitmo Observer blog. If you want to become part of our project, check out the Observer FAQ & Registration. HAWYS, John, printer, Johnson’s Courtroom, Fleet Avenue 1781-86.